To increase awareness for the earned income tax credit (EITC), the Internal Revenue Service (IRS) designates January 25 as Earned Income Tax Credit Awareness Day. The federal EITC is a refundable tax credit that supports low- and middle-income families. The IRS urges Native American taxpayers to check if they qualify for EITC since many workers in tribal communities often overlook this credit. ITC benefits Native Americans who meet basic rules. Taxpayers must have income from a job, be self-employed, or run their own business. This includes home-based businesses or work in the service industry, construction and farming. The exact amount of the credit is based on income, filing status, and the number of qualifying children. For a complete list of requirements, see IRS Publication 596. In 2018, 25 million eligible tax-filers received about $63 billion in EITC. The average amount of EITC received nationwide was about $2,488. However, the IRS and U.S. Census Bureau estimate this number only represents 80 percent of those who are EITC eligible, hence the need for increased awareness. The goal of Earned Income Tax Credit Awareness Day is also to increase awareness for any of the other refundable tax credits that may be overlooked, like the Child Tax Credit (CTC), the Additional Child Tax Credit (ACTC), and the American Opportunity Tax Credit (AOTC). The EITC could give an extra $2 or up to $6,431 to eligible taxpayers. Tax credits like the EITC and CTC lifted 9.4 million people out of poverty in 2013, including 5 million children. But workers must file a tax return and claim the credit to receive it, even if they owe no tax or aren’t required to file a return. 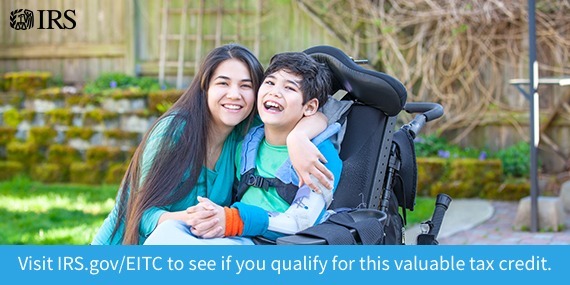 Find out if you are eligible for the EITC. Use the EITC assistant and the EITC estimator to help you. If you are eligible, find out how to claim the EITC, what documents are needed, and how to prepare your taxes — or how to find someone to help you. Learn about your eligibility for the CTC and ACTC, as well as for the AOTC.